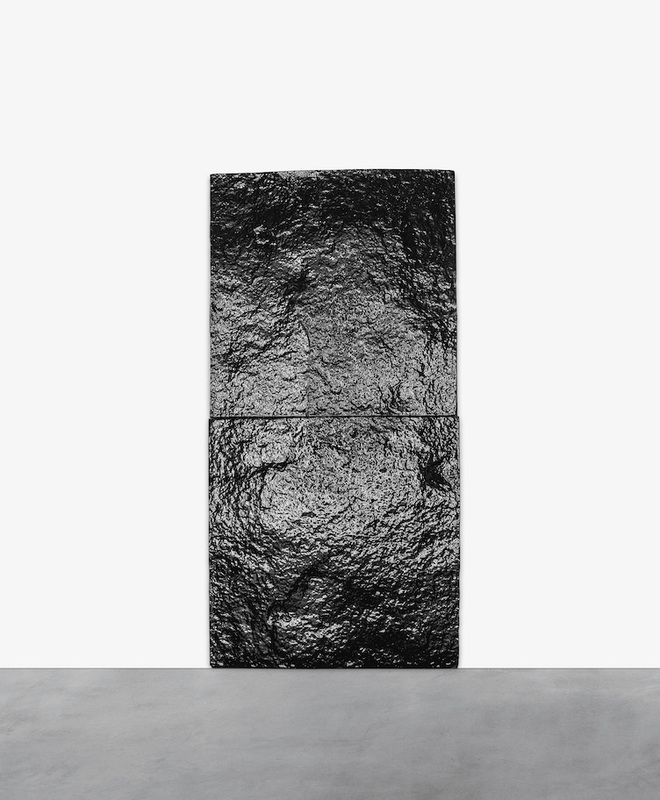 Mary Corse: A Survey in Light, The Whitney Museum of American Art, New York, June 8 – November 25, 2018. Mary Corse’s moment has arrived. Though she had exhibited regularly in Los Angeles for years, the efforts leading to this juncture did not begin in earnest until 2006, when Katy Siegel and David Reed’s canon-scrambling exhibition, High Times, Hard Times: New York Painting 1967-1975 placed her in the ranks of an overlooked generation of artists who advanced painting’s banner at a time of significant critical headwinds. Five years later, the Getty Institute’s Pacific Standard Time initiative situated her in exhibition contexts that more faithfully represented the geography and thematics of her practice (though she periodically painted in a borrowed New York studio in the seventies and was represented by the New York dealer Richard Bellamy, she has always been, in many ways, a consummate West Coast artist).1 A string of blue chip gallery exhibitions in the United States and abroad followed, culminating in the current traveling retrospective, as well as a long-term installation at Dia:Beacon. Thus, museums and the market have aligned once more to draw a nearly forgotten sixties artist out from the margins. 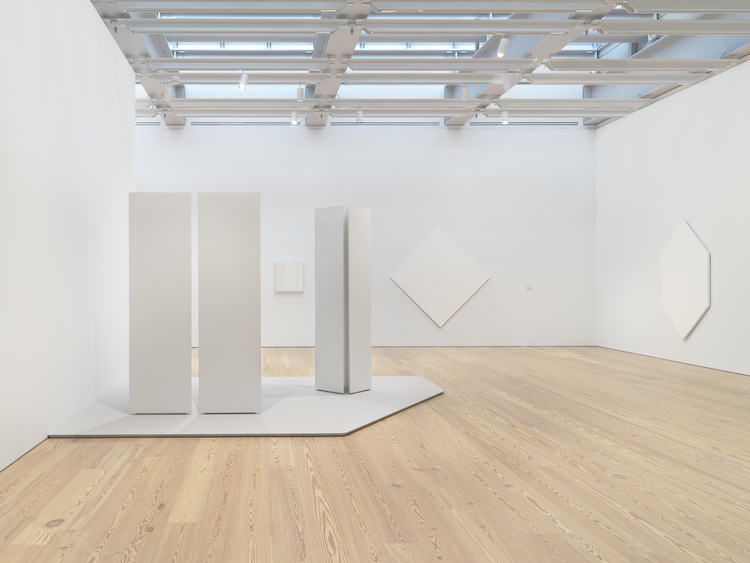 While Corse’s White Light paintings have become a common sight in group shows and art fairs, the Whitney exhibition offered the most comprehensive understanding of her artistic trajectory to date, allowing viewers to take the full measure of her achievement. Given the exhibition’s emphasis on Corse’s identity as a painter, it opened with a rather curious selection—a film documenting her fabrication of one of her light boxes, a series of Plexiglas objects illuminated by fluorescent or argon tubes that she produced for a few short years in the late sixties. Though these works would prove to be a brief, if important, cul-de-sac, the film’s shots of Corse manipulating hardware and wiring militated against gendered assumptions regarding the California Light and Space movement, with which her work has been aligned, and foregrounded her abiding fascination with the behavior of light. The film gave way to a gallery featuring works produced during her student years at Chouinard Art Institute that at first might appear to be rote exercises in minimalist aesthetics: shaped canvases, monochromy, sculptural monoliths, etc. However, rather than demonstrating a preoccupation with orthodox notions of flatness, opticality, or objecthood, these works aimed above all at harnessing light. A vertically elongated octagonal canvas stood as the launching point for these investigations. Scaled to the body and flatly painted in a cool blue-gray acrylic embedded with metal flakes, the work aspired to create an immersive reflective field held in shallow depth by a two-toned white perimeter (though in truth, this effect was exceedingly subdued in comparison to the work that would follow). Hexagonal- and diamond-shaped white canvases vertically bisected with a Barnett Newman-esque white stripe that was alternately recessed within or projected forward from the larger pictorial field created the impression of light funneling into or emanating out from a central seam. Two triangular sculptural columns literalized this effect as viewers peered through the narrow gap between their parallel hypotenuses. Unfortunately, the exhibition did not include the work that Corse herself has credited with initiating her interest in light, a red and blue hard edged abstract painting that she described as producing a flash of white light along the colors’ shared border.2Nonetheless, the gallery effectively established the parameters of the artist’s formative years, even if no individual work compelled significant interest. The introduction of plexiglass to her paintings would be pivotal to the light boxes that followed. Corse used this material to encase a triptych of white monochromes, in which both the painting and its framing box extended increasingly farther out from the wall in a serial progression. Rather than serving as a neutral container, the plexiglass appeared to spatially stake out the advancing optical address of otherwise identical paintings. From here, it was a short jump to encasing light itself. The exhibition included two of the light boxes, one of each light source she used in this body of work. She created the first boxes with white plexiglass that enclosed fluorescent tubes. The translucent plexiglass concealed the form of the tubes, transforming the object into a glowing slab of even, white light, its cord and power source hidden behind the wall. Corse’s desire to rid her work of the latter elements led her to the argon tubes. Powered by the electromagnetic field generated by a Tesla coil positioned out of sight behind the work, the argon boxes could be suspended from the ceiling by nearly invisible microfilaments, making the work appear as a kind of luminous apparition. The argon tubes produced a softer, pulsing light that appeared to throb in sync with the ominous hum of its power source. To viewers previously only familiar with Corse’s microsphere paintings, the light boxes were a revelation. Whereas Light and Space art generally partakes in some form of optical dematerialization—as in James Turrell’s corners or Robert Irwin’s aluminum discs—Corse’s boxes demand a bald encounter with light in its most elemental form, losing none of their perceptual intrigue despite the seeming simplicity of this aesthetic proposition. In a turn that upsets pat histories of Minimalism’s disavowal of two dimensions for three, Corse’s experiments with electrical light actually impelled her return to painting. In this respect, her story echoes Jo Baer’s, whose own study of the science of light would affirm her commitment to painting.3 Edmund Scientific, the manufacturer of her Tesla coils, required her to pass a physics test as a condition of purchase. In her telling, learning that light can exist either as a particle or a wave, depending on the conditions of detection, meant that a meaningful artistic reckoning with this subject must necessarily implicate subjectivity—both that of the viewer and the artist. Her discovery of glass microspheres allowed her to give this realization material expression. Commonly used to give highway lane markings and road signs their reflectivity, the microspheres represent yet another episode in the mythic romance between Californian artists and the automobile. Corse brushed the microspheres onto canvases with white acrylic, allowing painterly touch into her work for the first time in the exhibition. Described by Corse as a way to “truly put light in the painting,” the microspheres produce an optical shimmer that is activated by the embodied movements of the viewer.4 Light ripples across the surface of these massive canvases as one walks before them, radiant brushstrokes emerging from and receding back into the monochromatic field. She typically deployed these effects within a gridded structure so as to establish a degree of literal containment to these vast expanses of optical play (in select works, matte painted corners achieved the same effect). A similarly dialectical impulse resulted in the Black Earth series of 1978. Here, Corse created plaster impressions of a large, flat rock near her Topanga Canyon studio. She then molded them to clay and fired them in a massive kiln that she made herself. Glazed in a highly lustrous black, the resulting works resembled tiles of molten obsidian. These she mounted on the wall either in isolation or in gridded arrangements. While still evincing the artist’s fascination with light, the Black Earth series represented the microsphere paintings’ antithesis in key respects: black instead of white, indexical instead of arbitrary, earthen instead of ethereal. Like the light boxes, the Black Earth works represented a detour in Corse’s oeuvre. Thus any assessment of this artist’s merits ultimately hinges on what one makes of the White Light paintings, which she steadily continues to create to this day. To this viewer, these paintings, while convincing studies of reflectivity, lacked the perceptual intrigue found in the best work to come out of this art historical milieu. For example, Corse’s microspheres called to mind Craig Kauffman and David Novros—two artists of L.A. extraction with whom she was surely familiar—and their use of Murano, a pearlescent paint popular with custom car enthusiasts.5 Like the microspheres, Murano’s effects depend on the viewer’s physical movements, but rather than merely reflecting light, the medium refracts it to produce startling shifts of complementary colors. Furthermore, Corse’s White Light paintings do not demonstrate light’s ability to abrogate materiality as powerfully as, say, the work of a contemporary like Helen Pashigan (a figure equally worthy of the type of art world anointing that Corse has received). Indeed, it was not until relatively recently, with her Inner Band series begun in 1996, that Corse unlocked the true potential of her long held idiom. 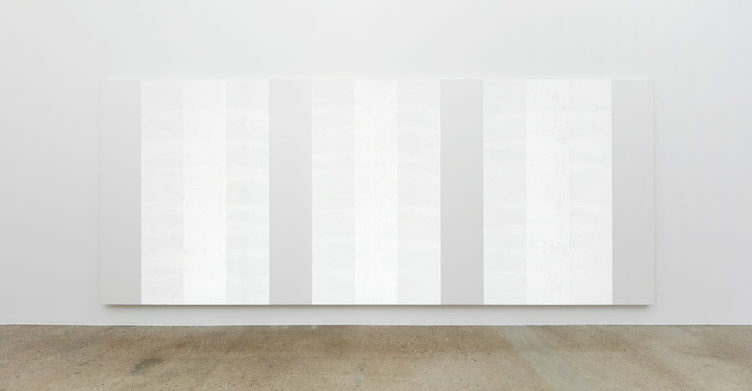 In these works, the titular vertical white band appears and then vanishes as the viewer passes before them—an effect that retained its mystery no matter how many times it was experienced. Corse’s work was featured in Phenomenal: California Light, Space, Surface at the Museum of Contemporary Art San Diego and Pacific Standard Time: Crosscurrents in L.A. Painting and Sculpture, 1950-1970 at the J. Paul Getty Museum. In her catalogue essay, Kim Conaty comments on the seminal status of this painting. 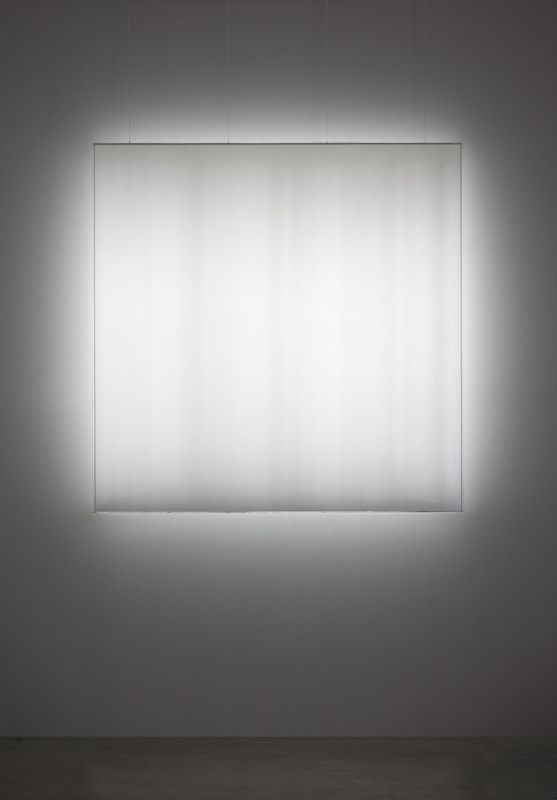 Kim Conaty, “Light + Space + Time,” in Mary Corse: A Survey in Light, exh. cat. ed. Kim Conaty (New York: Whitney Museum of Art, 2018), 16. Jo Baer, “Art & Vision: Mach Bands, 1970,” reprinted in Jo Baer: Broadsides & Belles Lettres, ed. Roel Arkesteijn (Amsterdam: Roma Publications, 2010), 54-63. Mary Corse, “Mary Corse with Alex Bacon,” The Brooklyn Rail, June 3, 2015. Kauffman regularly showed at Ferus Gallery throughout the sixties, and Novros exhibited a series of white monochrome Murano paintings at Virginia Dwan’s Los Angeles gallery in 1966, two years before the first White Light painting. Darby English has identified this conception of color as “artifactual,” which he defines as “a sense of color generated in the tension between color’s racial connotations and its aesthetic meanings.” Darby English, 1971: A Year in the Life of Color (Chicago: The University of Chicago Press, 2016), 9. 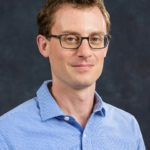 Matthew L. Levy is Assistant Professor of Art History at Penn State Behrend. His book, Abstract Painting and the Minimalist Critiques: Robert Mangold, David Novros, and Jo Baer, will be published by Routledge in the spring of 2019.